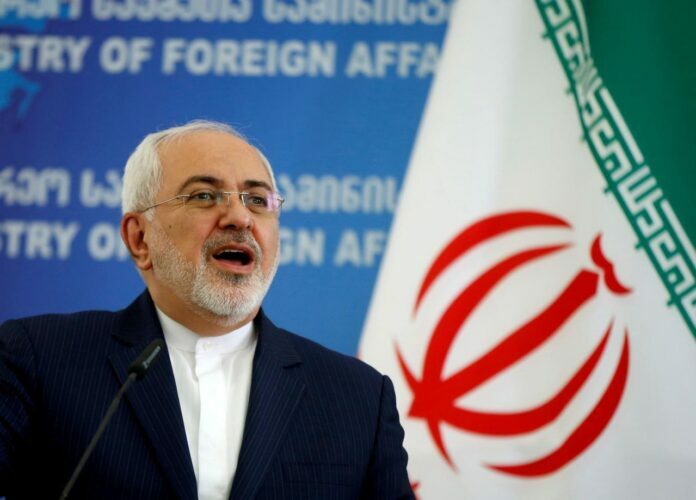 Reacting to the US officials’ remarks against Iran’s missile program, Zarif said it goes without saying that neither the JCPOA nor the UN Security Council Resolution 2231 ban Iran’s missile program. Speaking to reporters after a cabinet session on Wednesday, he said the US officials have admitted it both in the previous and current administrations. “As former US Undersecretary of State Wendy Sherman and Brian Hook, the US Special Representative for Iran, recently said, the Islamic Republic’s missiles are categorized as conventional weapons because of their precision-guided capabilities,” he said. The US officials’ remarks serve as a pretext for the country to justify its own violation of the Iran nuclear deal and the UN Security Council Resolution 2231, he added. “As we witnessed, the UN Security Council declined to hold a meeting based on the US’ unfounded accusations against Iran’s missile program,” he noted. He touched upon Iran’s defensive capabilities and said as the Islamic Republic has always underlined its policies are totally defensive. Touching on the return of US warships to the Persian Gulf, Zarif said as Iran has always stressed, the presence of foreign forces in the Persian Gulf undermines its security and Iran will strongly defend its territory. Elsewhere in his remarks, the Iranian official referred to the latest developments in mutual cooperation between Iran and Europe over the future of the JCPOA and said the two sides have gotten closer to a final agreement over the financial mechanism to keep their trade ties under the US sanctions. “The US officials are used to hampering any effort to normalize ties between Iran and Europe. That’s why the Europeans are following up the issue behind closed doors. They will share their final decision with Iran immediately after reaching a conclusion,” he said. On Iran’s commitments under Paris Climate Agreement, Zarif said under the guidance of Iran’s leader, the Islamic Republic has already developed a plan aimed at decreasing greenhouse gas emissions which is much more serious than the Paris deal. “It’s important for Iran to have an active participation in significant international events which could meet our interests. Absence from international arenas has never been helpful to us. What distinguishes us from Washington is our commitment to our pledges,” he noted. He underlined that Iran’s current policy will further isolate the US in the international arenas. “We have never forced any country to act against its own interests. But huge interests should never lead any state to manipulate international law for its own benefit. Each state has the right to make its own decision on having or not having relations with us,” he said, adding that Iran’s market is ideal for most states.